Company is not responsible for the wage, given to the workers (Electrician, plumber etc.,) who come for fixing your jobs. If company finds, given contact details are false then the relevant account and Job will be closed. If company people identified the junk is in bad condition or not useful to us or theft things then we won't buy it. Once junks are sealed , it can't be replaced. We are using fraudless weighing machine. Check the received amount and make your signature on the list provided by our collection executive. 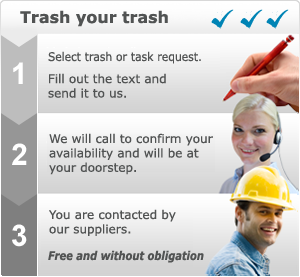 We are not collecting all the Items which come under "Others" in Trash request. Keep the items ready before our collection executive's arrival. Our people will not do any house keeping works. Cross verify your customer id with the list carrying by our collection executives to avoid unauthorized persons who is not from kuppathotti.com.